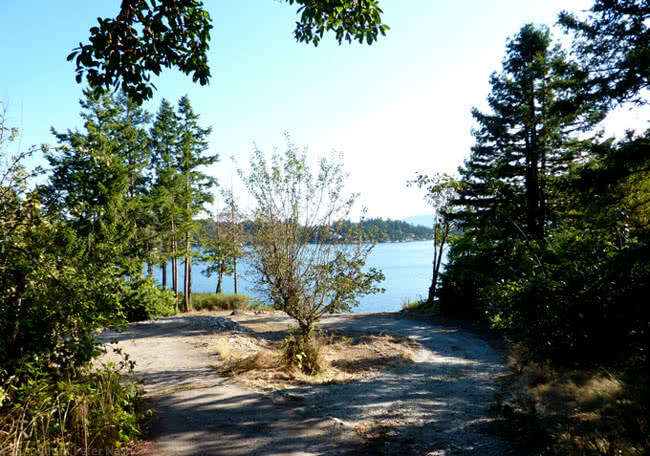 This excellent one acre (0.405 hectare) oceanfront property has a lovely southern outlook over Deep Cove, Satellite Channel and down Saanich Inlet (48°40’N., 123°30’W). 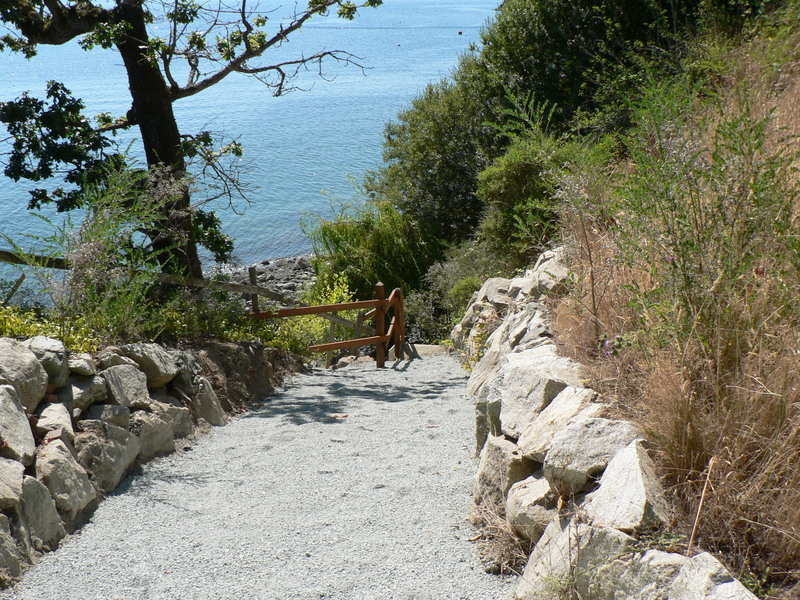 Situated on the west side of Saanich Peninsula within the Municipality of North Saanich. Waterfront: The easily accessible oceanfront has a frontage of 108 ft (33 metres) +/- with a seawall/patio area for storage of small boats and Kayaks. There is a good beach and warm summer swimming. 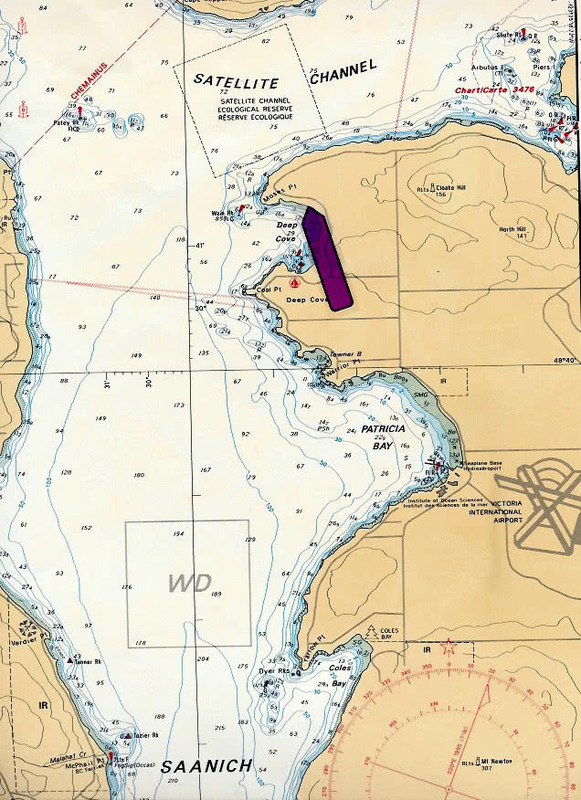 You can safely moor your boat offshore seasonally. 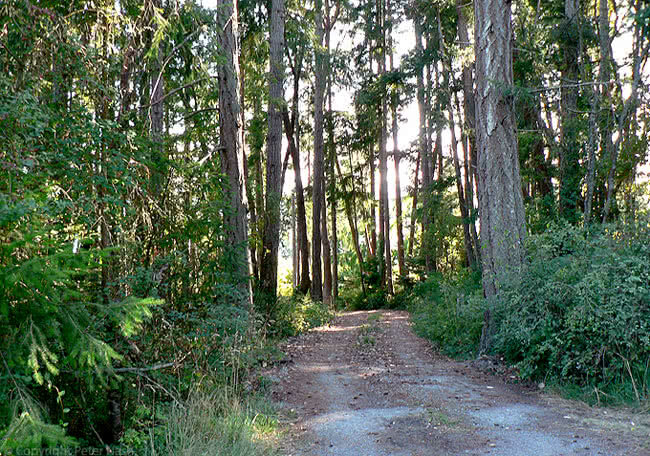 Property: A private beautifully treed (Arbutus/Madrona, Oak, Cedar, fir) and some fruit trees in its natural state. 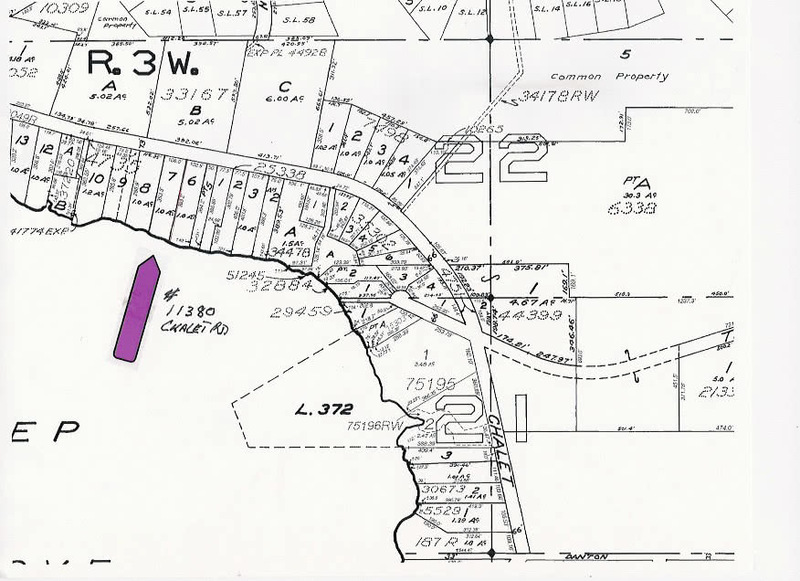 The property of 1.00 acre (0.405 hectare) +/- is about 50/50 treed and cleared with an excellent site for a new home. See plot plan below. Note: Previous home was removed several years ago. 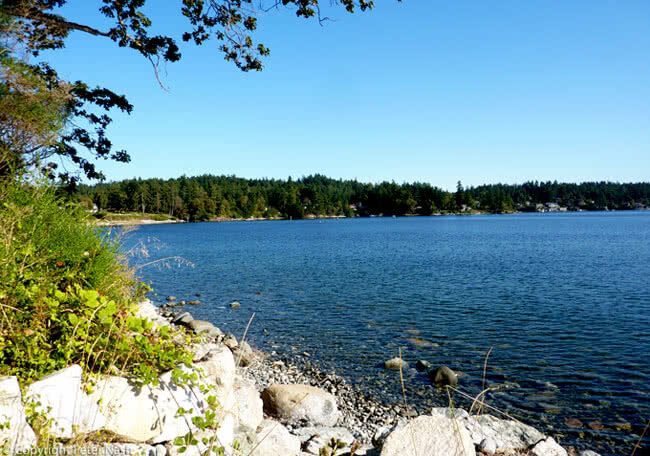 Location: The property is located on the West side of Saanich Peninsula which is considerably warmer than the East side or the north end of the peninsula! 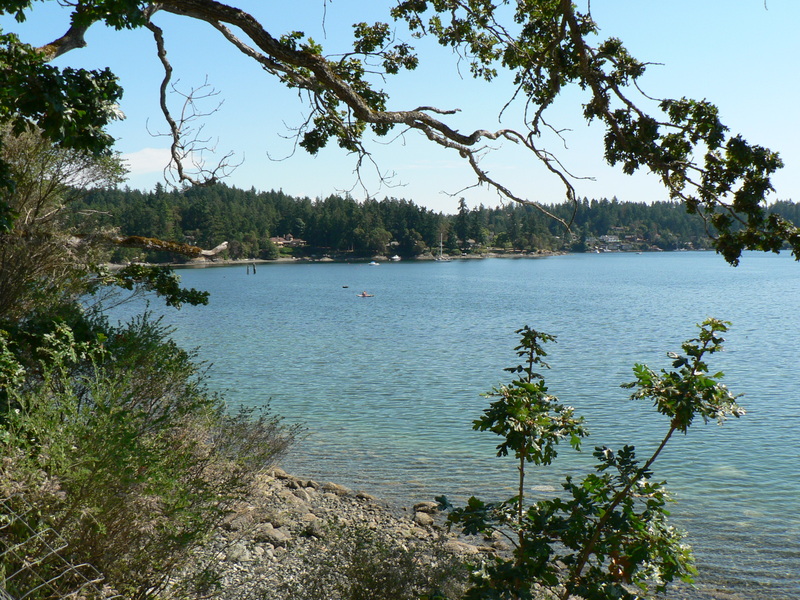 Located about 12 minutes from the B. C. Ferries Swartz Bay Terminal (service to Tsawwassen/Vancouver and Gulf Islands). 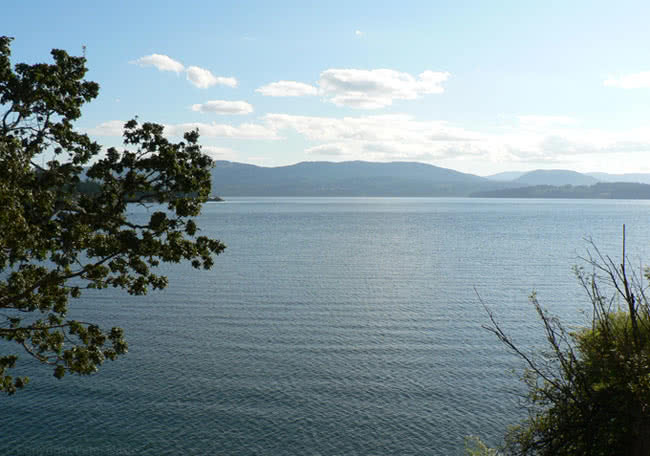 The Ferry for Washington State, Town of Sidney (population 11,000), Victoria International Airport, marina’s, golf courses, wineries, recreation center, schools, hospital are all within a 16 minute drive. 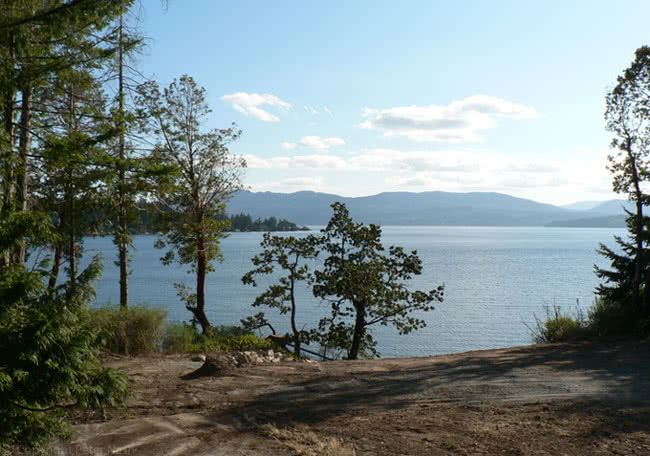 The City of Victoria is about a 35 minute drive from the property. 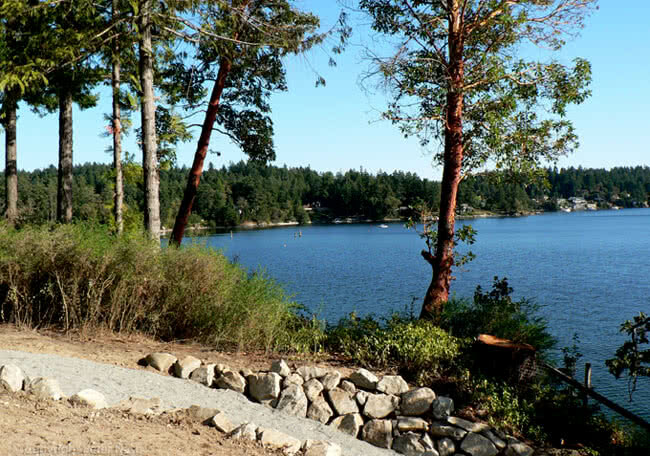 Located in a Prime Residential Area on a quiet country road In Deep Cove. 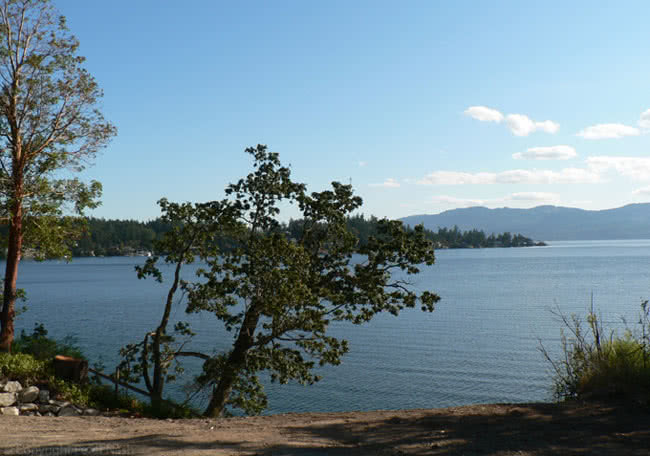 Close to small marina, renowned Deep Cove Chalet Restaurant, Muse Winery, Country Store, parks and trails..
Area: The area of Deep Cove and Saanich Inlet offers excellent boating, kayaking, diving, fishing, crabbing, pawning, molluscs and a great variety of marine and bird life. There are many walking trails and natural state park areas within minutes of the property. The property is within the well regarded Municipality of North Saanich (population about 11,000). A great opportunity to build your home in this excellent residential area where it is hard to find a building lot. West side of Saanich Peninsula which is considerably warmer than the East or the north side. 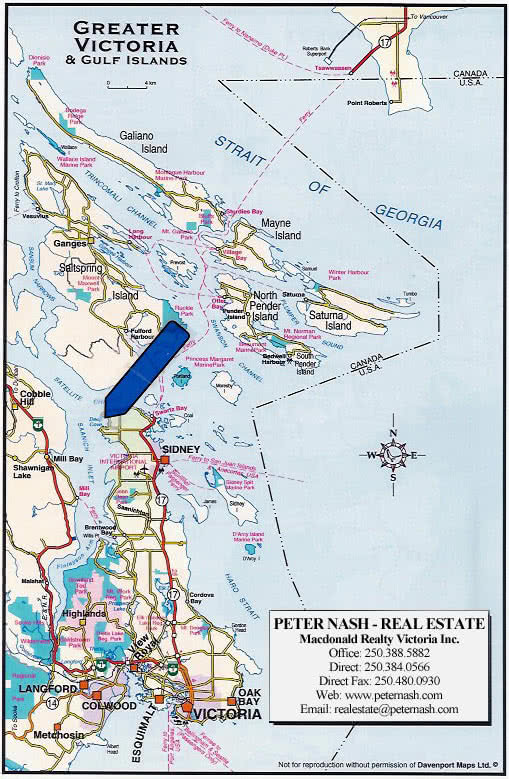 Close to Ferry Terminals (Vancouver, Gulf Islands, Washington State); Town of Sidney; Victoria International Airport; marinas; golf courses; recreation center; schools. City of Victoria is a 30 minute drive south.